The Eastern Orthodox churches generally place great importance on icons. I remember reading that they say private owners should not buy icons (but can e.g. get them as a gift). I'd like to know what the rules are, where they are documented, and whether they are different for different kinds of icon (historically important ones, normal "written" ones, machine reprints etc). I have never heard either of any rule about not buying icons. If we all waited until we received them as gifts, we’d probably have very few, and we might wait our whole lives and never get any. And when would churches get them? So rarely they would never have proper iconostases. 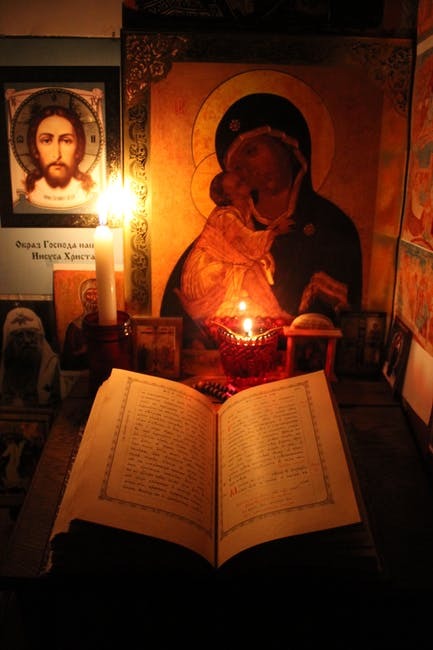 But an icon emits Divine Energy¹, which is also known as the Grace of God, so they’re highly important, and the more you have, the more of the Grace comes into your house. So yes, please buy icons. However, definitely do not get any from a place called “Monastery Icons”. That place is not even Christian², and while they do sell a few authentic (and stunningly beautiful) icons they have bought from elsewhere, what they paint is not nearly canonical. The skin of the saints is monochrome (real icons use some contrast, a bit green in the background, golden in foreground) and like that of a mannequin, the texture of the clothing is cartoonish, the colors garish and clashing. Backgrounds generally, or at least the halo, should be gold-leaf, or at least a soft and glowing golden color, but their backgrounds are always flat, and usually saturated, orangish yellow. By the way, if you like their authentic icons, you can get that same Russian style from the reputable Holy Trinity Store and Istok. eikṓn (from 1503 /eíkō, "be like") – properly, "mirror-like representation," referring to what is very close in resemblance (like a "high-definition" projection, as defined by the context). Image (1504 /eikṓn) then exactly reflects its source (what it directly corresponds to). For example, Christ is the very image (1504 /eikṓn, supreme expression) of the Godhead (see 2 Cor 4:4; Col 1:15). So an icon of a saint should be treated much like that saint. Therefore, it shouldn’t touch the floor (to not be in danger of being stepped on or kicked), it shouldn’t get dirty, it should be put in a place of honor, it should never be thrown away, and if you have to dispose of it (even a paper printing of one from a magazine or church bulletin), you should bury it, or burn it⁴ (OK, this part is different, maybe for the purpose of saving space) and then bury the ashes where the ground won’t be stepped on. And an icon should never be printed on clothes. The only clothing it goes on are vestments. Inferior materials do not make the same image into a common picture, so yes, the rules are always the same. Going beyond not disrespecting to actual respect, one starts by making the Sign of the Cross (3 first fingers together for Trinity, 2 other fingers against palm for 2 natures of Christ; say (or think), ‘In the Name of the Father’ and touch forehead; say, ‘and the Son’ and touch solar plexus; say, ‘and the Holy…’ and touch right shoulder; say, ‘Spirit’ and touch left shoulder) in front of the icon, bow, then stand, and kiss the icon. If it’s Christ, and you can see the feet, kiss the feet. All other cases kiss the hand, or clothes or whatever you can reach is OK too. Don’t kiss the face; that’s for equals. Then you can say a prayer. The icon should be on a stand, stood up on a shelf, or hung on the wall. It’s preferable for it to face west, so you face east when you pray, the direction Christ will return from. Continuing with practices of greater reverence, you can touch the floor with the back of the hand (i.e. do a metania) or make a prostration, instead of just bowing. (Sorry, I don’t have an ‘at home’ picture of that one.) A candle, or better, an oil lamp,⁵ and possibly incense (church kind only, not Nag Champa or something from Spencer’s), should be burned in front of the icons. (I haven’t done this myself, because we have a toddler, and we might be too forgetful anyway for a fire hazard!) You can make the Sign of the Cross—it is a sanctification—when entering a room that has icons in it, the same as people do when entering a church with them. Another high respect is refraining from crossing your legs, or otherwise sitting in a particularly casual posture, in front of icons. Funny thing about this is many of the rules for the care of an icon are the same as or very similar to the care for a flag (U.S. at least): keeping it clean and off the floor and ground, disposal, only garment it may be on is a service uniform in small format, saluting (i.e. bowing, while it doesn’t bow, and the flag may not be dipped), remembering it stands for others, keeping it lit, being at attention, and respectful songs are associated. But many (or most?) Protestants honor the secular flag with the actions they refuse to give to holy icons, even of Jesus Christ Himself. My background personally: I was a member of an Eastern Orthodox church for 3 years, and now have been a Byzantine Catholic for 2 years. (The Russian Catholic Church is where I was put, apparently because of my Russian-Rite Baptism and Chrismation.) Some of my family had come from Belarus, from the territory of the Union of Brest (Byzantine Catholic union), and brought their icon along. My Protestant family still had it, hanging in my Grandma’s living room. I always loved it while I was young, but was brought up essentially agnostic. I came to the Church by marrying a Byzantine Catholic. ¹Icons and the Name of God. Sergius Bulgakov. vii. ²“A Word About ‘Monastery Icons’”. Fr. Anthony Nelson. ³“1504. eikón”. Bible Hub. Strong’s Concordance, et al. ⁴“How Not to Be an Accidental Iconoclast”. A Reader’s Guide to Orthodox Icons. ⁵“Create a Quiet Place for Prayer”. 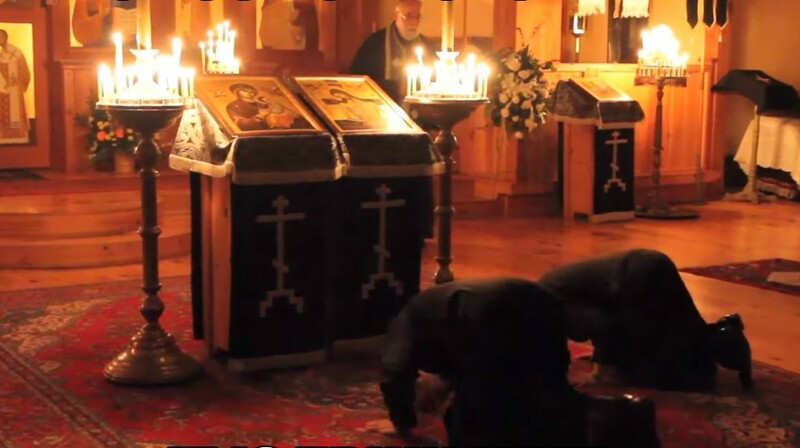 Orthodox Prayer. As a member of the Russian Orthodox Church, I'm not aware of any such rules. It is recommended to buy icons in churches or church stores rather than secular ones, though. Not the answer you're looking for? Browse other questions tagged eastern-orthodox iconography or ask your own question.